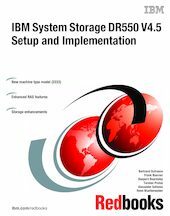 This IBM Redbooks publication explores the characteristics of the various DR550 models with details about how the different elements are initially configured. It explains and illustrates the additional configuration tasks required to deploy the 2233-DR1 and 2233-DR2 products in an existing network and storage environment. This book also presents key features of IBM System Storage Archive Manager, which is the core of the DR550 and covers the DR550 File System Gateway option, which is designed to provide NFS and CIFS file system access to applications. It explains how the DR550 series integrates with IBM Enterprise Content Management products to deliver an efficient, fully managed data retention environment. We also explain how to complement the offering with tape attachment and the use of WORM tape media for migration and backup purposes. The book also discusses disaster recovery considerations and has a chapter dedicated to the Enhanced Remote Mirroring option. Finally, we cover call-home features and the use of SNMP and IBM Director for monitoring the DR550. This publication is intended for those who want an understanding of the DR550 and also for readers who need detailed advice about how to configure and deploy the solution.